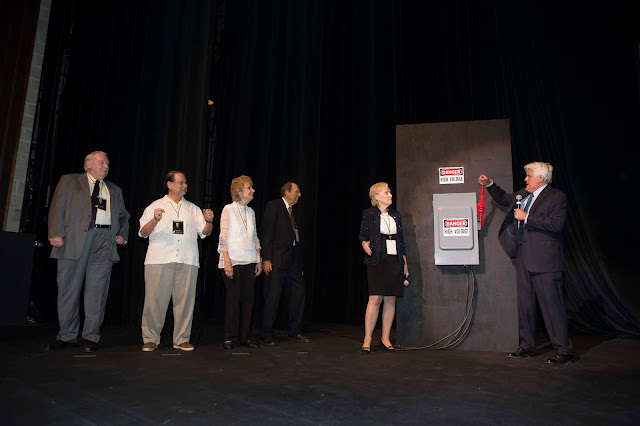 Sunday night’s performance by famed comedian and television star Jay Leno at Sangamon Auditorium brought not only laughs but news. Bryan Rives, new director of UIS Performing Arts Services announced to the 1,500 attendees the creation of the University of Illinois Springfield Performing Arts Center. The UIS Performing Arts Center encompasses a variety of venues and programs including Sangamon Auditorium, the intimate UIS Studio Theatre, the UIS Ticket Office and the UIS Performing Arts Education Connections program. Rives also pointed out Sangamon Auditorium has been in operation for about 37 years, and its 40th anniversary is quickly approaching in 2021. “UIS is currently in the planning stages for a major facelift of the lobby area and UIS Studio Theatre along with other improvements in store for Sangamon Auditorium,” he said. 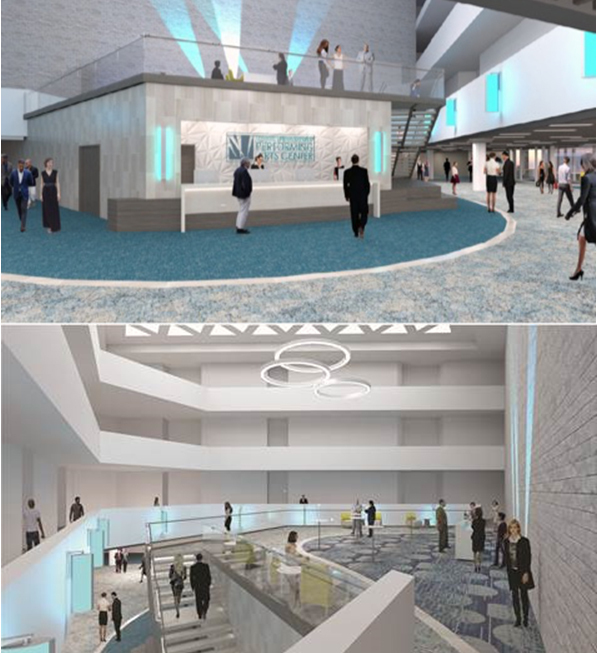 At Jay Leno’s performance, select donors and supporters of Sangamon Auditorium were treated to a sneak peak of these plans which include a new concession stand for the lobby to be completed by this spring. 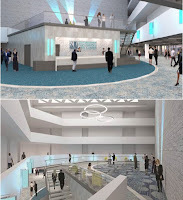 Donors were also shown architectural concepts for a major redesign of the main lobby including the addition of a new grand staircase to the third-floor landing and a new ticket office. Renovations are expected to be funded through a combination of major gifts from individual donors, contributions made to the Friends for UIS Performing Arts Center annual fund drive, and funds derived from a current facility fee collected on all paid tickets which goes into a fund for capital maintenance and improvement projects.